Goodness! What happened to February? Suddenly it's gone, never to be seen again. Worse - I did no birding at all! I visited Wilson Reserve a few times hoping that the Powerful Owl might have returned to her occasional roost, but I had no luck with that. Today, when I'd hoped to be out on the waters beyond Wollongong seeking White-necked Petrels, I'm here at my computer writing this. My total bird count for the month of February was 34. In all my years of record keeping I've never had such a low count. March must be better. I have done my daily walks but there were no surprises in any direction. I recorded magpies, Rainbow Lorikeets and Spotted Doves on every walk. I missed Red Wattlebirds just once, Noisy Miners twice and Grey Butcherbirds and Little Ravens just three times. I recorded a Long-billed Corella and an Eastern Rosella just once, Welcome Swallow and Common Starling twice and a Spotted Pardalote three times. 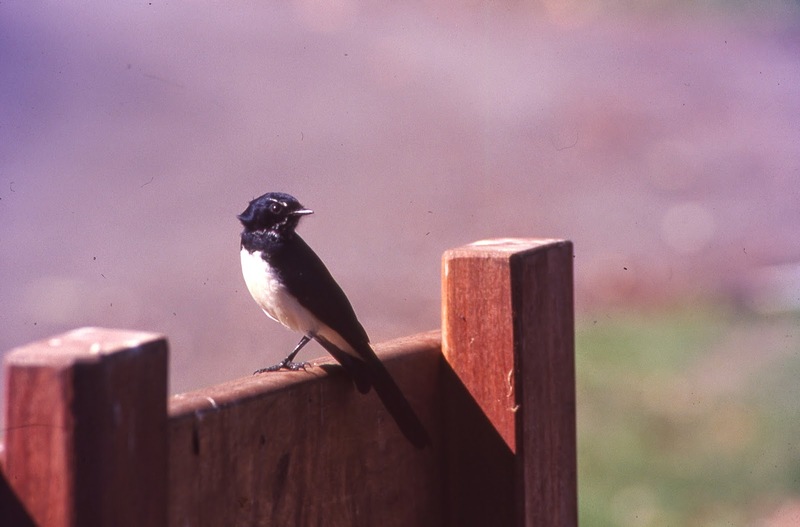 The sad news is that my Willie Wagtail family seems to have disappeared. I used to see them reliably on my north walk, but they did not put in an appearance at all for the whole of February. The weather has been lovely here this summer - thankfully not too hot. Now the signs of autumn are beginning to appear. Young magpies have been experimenting with subsong and I saw my first autumn flock of Little Ravens this week. I started my daily directional bird counts last spring. It will be interesting to see if autumn produces any noteworthy differences. Whatever happens, I simply must go birding in March. This morning I completed my 100th walk: that is to say, I have walked 25 times to the north, 25 to the south, 25 to the east and 25 to the west of my home in suburban Kew, keeping a birdlist on each occasion. The purpose of the walk is to keep fit; the purpose of the birdlist is to add interest. I saw a total of 32 species of birds. The clear and unambiguous winner was the Australian Magpie, which I recorded on 99 of my 100 walks. Other birds that achieved a high distinction were Rainbow Lorikeet, Red Wattlebird and Common Myna (all on 96%), Spotted Dove (95%) and Noisy Miner (91%). I'm delighted that the magpie won, and I suppose that there's nothing wrong with a Red Wattlebird. The less said about the other winners the better. After that cluster of birds scoring in the 90's, there was only one in the 80's (the Little Raven at 84), then one in the 60's (Common Blackbird at 68, mainly in spring), then the Brown Thornbill at 52% (30 of these records were heard, not seen) and the Grey Butcherbird at 49% (23 heard). I was surprised to see that the Magpie-lark scored just 41%; I'd have thought I saw these birds more often than that. And the Pied Currawong also: he came in at 36% and, if asked, I'd have said he was around much more frequently than that indicates. Just shows, you can't trust your memory, or, at least, I can't trust mine. Next came the Little Wattlebird on 33 (19 heard), Welcome Swallow (29%), Common Starling (28%, mainly north), Feral and Crested Pigeon (both 23, the latter mainly south) and (my very favourite bird) the Willie Wagtail at 22, exclusively on north walks. If I was disappointed at the low number of records for the Magpie-lark, I was delighted to see Sulphur-crested Cockatoos at 18 (17 of them north). Cockies are not an every day occurrence in this part of suburban Melbourne. 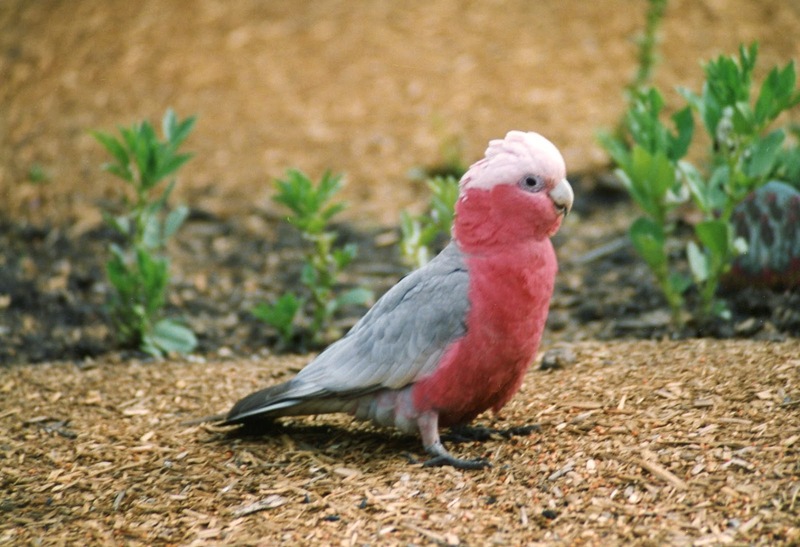 I saw Eastern Rosellas on 8 occasions and Galahs on 6. Long-billed Corellas were recorded 5 times. I saw Red-rumped Parrots three times (all north walks) and Pacific Black Ducks, Masked Lapwings and Silver Gulls just twice. White-plumed Honeyeaters, Australian Ravens, Black-faced Cuckoo-shrikes, White Ibis and Musk Lorikeets were all recorded just once. I do wish I'd kept these records in years gone by. My memory is that we had greater diversity before the Noisy Miners moved in, but alas, that remark is now just anecdotal. I'm hoping that when I have accumulated more data, I will be able to detect seasonal movements. If asked, I'd have said that the butcherbird was more vocal in winter, but my records do not support this at the moment. Whether or not I am gathering any useful information, there is no doubt that I am making my morning walk far more interesting and that's a good thing.